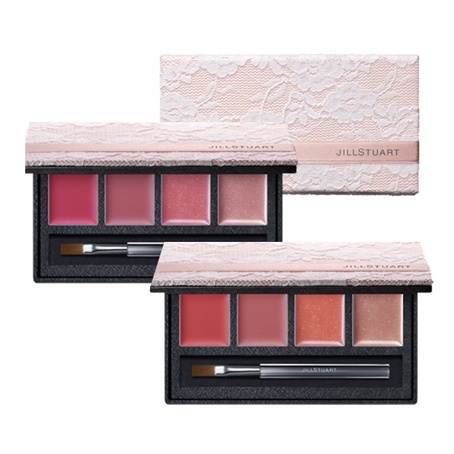 Here's a sneak peek from UrCosme.com of Jill Stuart's Summer Dress Collection comprising two Eye Color Palettes #101 and #102, plus two Lip Color Palettes which will be released on 1 April exclusively for Jill Stuart's counters outside of Japan. 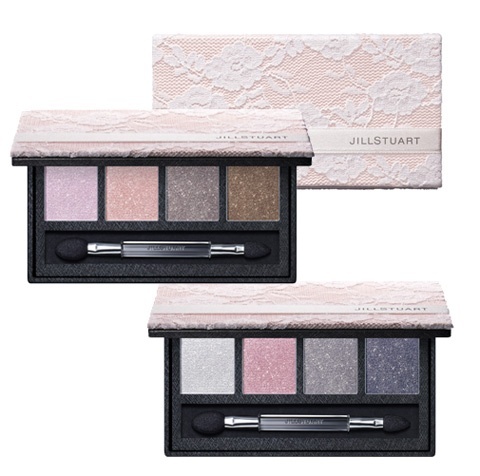 The eyeshadow palettes will retail at NT$1650 (about S$70) while the lip palettes are NT$1450 (S$62) in Taiwan. 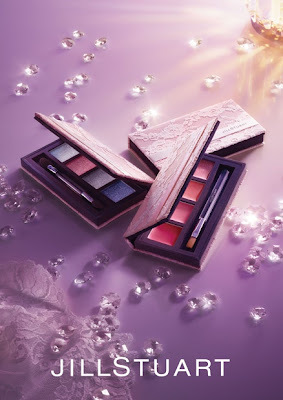 My guess is there will be a separate summer makeup collection for Japan. 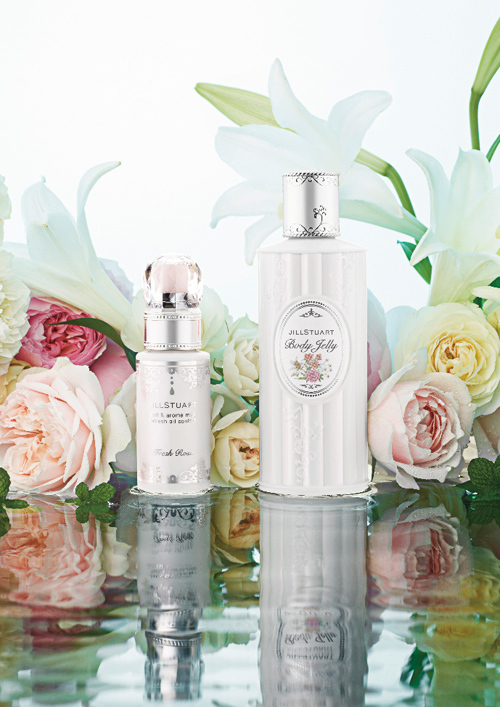 A new Fruit & Aroma Mist Fresh Oil Control (2310yen, 60ml) and Body Jelly (3150yen, 250ml) will be released on 6 April in Japan. 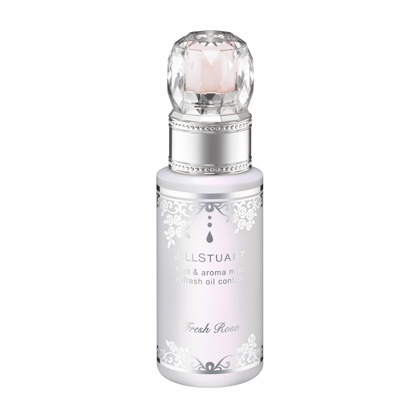 The Fruit & Aroma Mist Fresh Oil Control is a rose and fruit-scented refreshing body mist. The fresh white floral-scented Body Jelly transforms into a moisturising lotion upon contact with the skin. It contains two types of menthol for a refreshing sensation. Both products are limited edition.